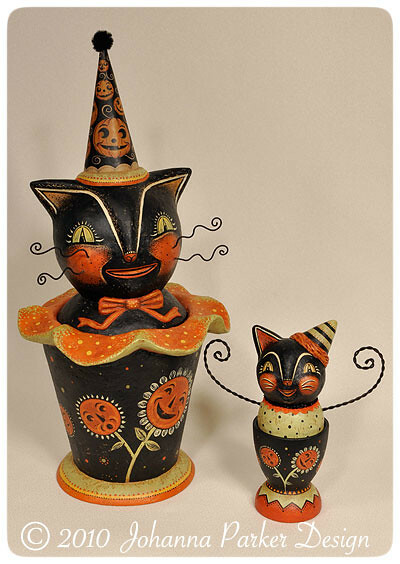 First off is "Bloomin' Betty" ~ the larger candy container on the left! 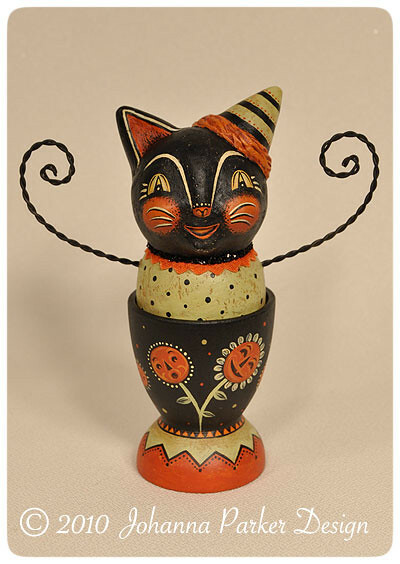 She's also featured on the EHAG Emporium this month. 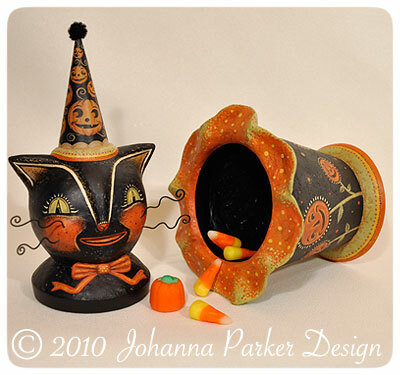 One of a kind papier mache candy container with an original illustrated conical party hat featuring more jack-o'-lantern fun! She wears a sculpted bow at her neck, and her containing cup has a whimsically fun dimensional ruffle that trims its brim! and . 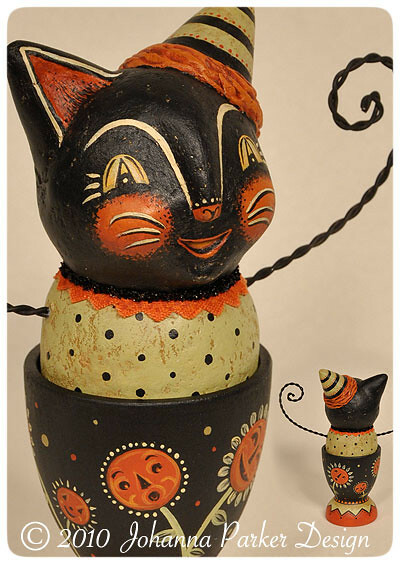 . . . . . .
Hand-painted and sculpted papier mache black cat lid fits snugly with a painted wooden egg cup. 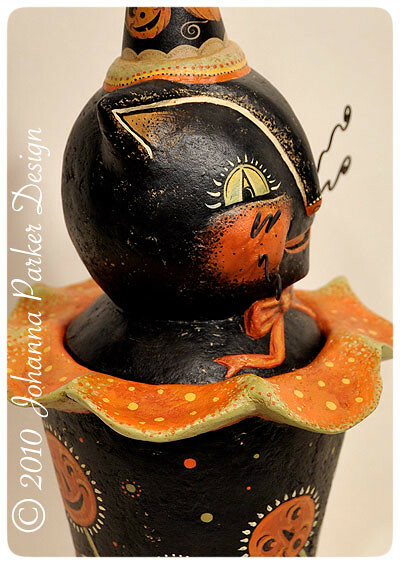 She wears a dimensional party hat and an orange zig-zag fabric collar trimmed in black glass glitter. 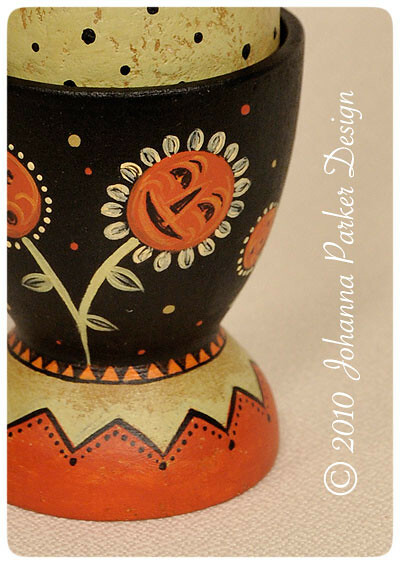 And don't forget to include the name of the piece you are hoping to reserve!